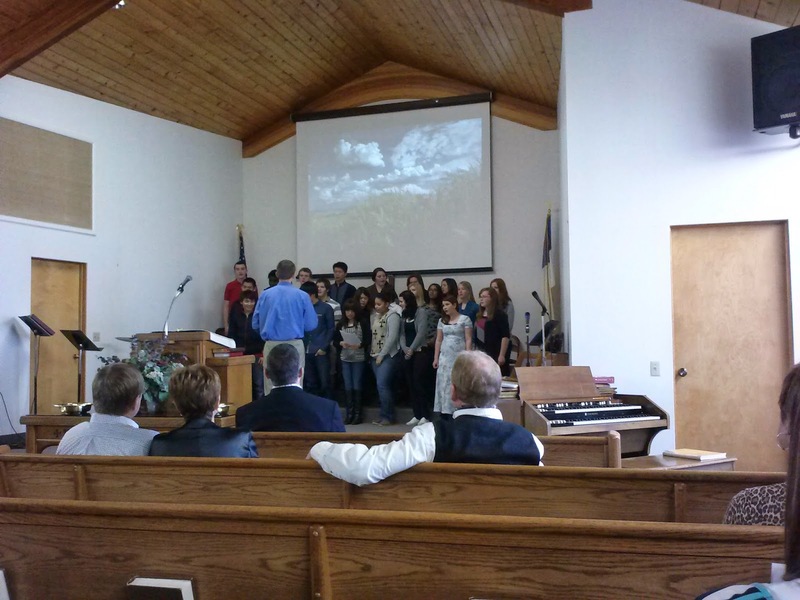 The LCHS choir sang today at the MB Church. Mr. Butler is the school music teacher and led the choir. They did a good job.